My nick name is Souk, I was very excited and I can’t wait to see you all in Japan. 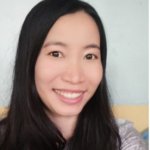 I have been working for the rural development almost 12 years since I graduated from university till now as project manager for “The participatory Community Development Project” based in the southern zone of Laos; I love to be a part of bringing change to the life for children and youth in the remote areas. To do that I and my team we have to do awareness campaign and training to parents, village authority as we believe that these people are the main groups who can bring change and makes it real happen to their community. We call this community people lead development or sustainability. I am very happy to be selected as a participant of the 61th batch in IATSS Forum. This is great opportunity for me to learn from all participants there. Honesty, Japan is one of my dream country that one day I would like to visit. I really interested to learn about sustainable community development as it related to my recently work and can bring it back to apply in the community where I work for. And also leadership skills and thinking and Learning together. One of my objective in my work I would like to facilitate and building the leadership skills to the children and youth people in my target location. I believe all of them having most significant insight they just need someone to see and bring it out. The IATSS Forum would be a great place of learning and sharing, I am also excited to hear your stories, your work and experiences of bringing change in your community. I looking forward to exchange and learn from all professors and emerging leaders from ASEAN country, and looking forward for future collaboration.